Israel Aerospace Industries (IAI), Israel's largest defense exporter, is courting India, its leading trade partner, with a spectrum of incentives aimed at preserving its edge against Russian, American and other rival arms suppliers. Through offsets, technology transfer and promises of licensed production, IAI hopes to secure new projects and follow-on deals to those that have fortified its backlog by billions of dollars over the past decade. "IAI is acting to expand its collaboration with government-owned and private companies in India," said Eli Alfassi, IAI's corporate vice president for India Operations. In written responses to Defense News, the executive acknowledged intensifying competition from "all the defense industry's leading players" for greater presence in the Indian market. Nevertheless, he said IAI's advanced capabilities, extensive track record of industrial cooperation and its readiness "within the boundaries of the appropriate licenses to transfer technology as part of offset deals" will sharpen its competitive edge. "IAI sees offsets as an enabler for success in international markets," said Alfassi. "Not only are offset obligations expected to reduce arms acquisition costs, they are also expected to stimulate economic development and employment within purchasing countries." IAI rarely publicizes its defense dealings with New Delhi and never reports annual revenue generated from cooperative development projects or export sales. 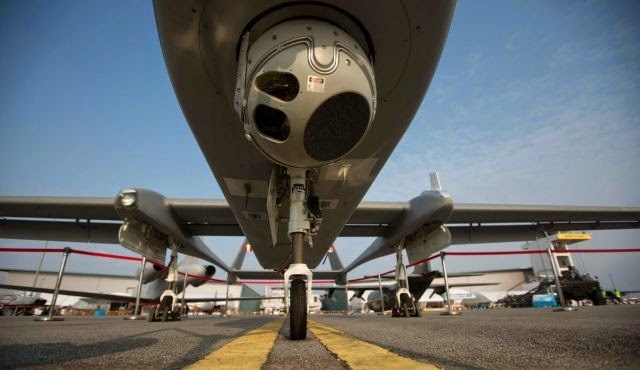 The state-owned firm did not disclose its latest $280 million order for Heron UAVs, or the prior two rounds of IAI-built unmanned reconnaissance and targeting systems sold to New Delhi over the past eight years. Nor did it acknowledge major sales of Phalcon spy planes, Green Pine radars and joint development of the Barak-8 air- and missile-defense system until reports started appearing in the Indian media years after orders were firmly registered in company backlog. Similarly, IAI seldom initiates details of its offset and joint venture agreements with Indian industry, deferring to local partners to determine what specifics should enter the public domain. "We don't identify customers. It's not secret, but its politically incorrect," IAI Chairman Rafi Maor said. "In India, we can now talk about Barak-8; and it's known that we have UAVs and special mission aircraft there. But other than that, it's a matter of ethics that the customer discloses these projects, not us," he said. Maor declined to discuss annual revenue generated from the Indian market, nor how much of the $800 million IAI receives annually in customer-funded research and development investment comes from New Delhi. But with Israel second only to Russia in providing for India's defense needs, and IAI the country's largest supplier to New Delhi, sources here estimate the Indian market at 30 percent to 40 percent of the firm's overall exports in recent years. Alvite Singh Ningthoujam, a researcher at the School of International Studies at Jawaharlal Nehru University in New Delhi, has pegged bilateral defense trade at $10 billion since 2004, when IAI inked a $1.2 billion deal for three Phalcon early warning and control (AEW&C) systems integrated on Russian IL-76 aircraft. In an October 2014 study, he said Israel's rapid response to India's request for military assistance [including IAI-built UAVs] during the 1999 Kargil War "has increased Israel's credibility as a reliable arms supplier." Ningthoujam noted that a potential follow-on order for two more Phalcon systems was on the agenda during a visit here last July by India's Defence Secretary R.K. Mathur. An Indian defense source confirmed last week that talks are continuing on the estimated $1.1 billion follow-on deal, despite New Delhi's concern of the "high cost" proposed by IAI for the additional two systems. 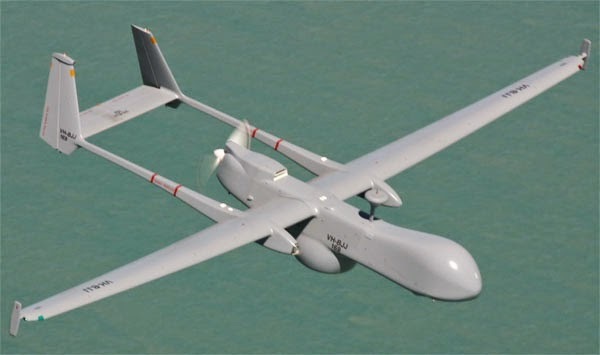 Alfassi declined comment on the potential follow-on Phalcon deal or any other specific program under discussion, other than to say that "special mission aircraft" are a significant part of IAI's operations in India. In his written responses, Alfassi acknowledged that a "very broad spectrum" of IAI capabilities and technologies are in operational use by all branches of the Indian armed forces. Land and maritime versions of Barak-8 are another major element of IAI's business in India, he said. The program passed a significant milestone test last November that validated the joint program for production after nearly eight years of development. It was only after that successful Nov. 8 test — an event witnessed by a high-level delegation of Indian defense officials and military officers and their Israeli counterparts — that IAI executives started to speak publicly about the widely known program. As the Barak-8 program begins its transition to full-rate production, a 2012 agreement between IAI and New Delhi-based Bharat Electronics Ltd. (BEL) will allow local production and integration of radar-related subsystems. Alfassi declined to elaborate on the firm's agreement with BEL — a key Indian industry partner — but details were posted Feb. 2 in a DefenseWorld.net interview with BEL Chairman and Managing Director S.K. Sharma. "There is no role for BEL in the initial supply of developmental orders from the Navy and Air Force for LRSAM and MRSAM programs," Sharma said, referring to India's respective names for the ship- and land-based programs. "However, in future supplies of LRSAM, BEL has been identified as lead integrator and production agency for radars. As for future business, Alfassi flagged land systems, cyber and space as potential areas for expanding cooperation. Under a complex government-to-government and government-to-industry deal, Israel launched its first synthetic aperture radar (SAR) satellite in January 2008 aboard an Indian PSLV launcher, with both countries sharing high-resolution imagery generated by the IAI-built spacecraft and its SAR payload. "Along with other security organizations in India, IAI has a strong relationship with the Indian Space Research Organization and is constantly examining areas for further cooperation," Alfassi said. The IAI executive said firms unwilling or unable to enter into technology transfer and licensed production deals will be at a disadvantage. "An emerging trend in the world, including India, is to give preference to local procurement. … Anyone who wishes to do business in global markets, and in India in particular, will need to take this trend into account in terms of technology, business, industrial cooperation, manufacturing and so on."